This article covers the History of the Netherlands until about 2000. For recent years, see Netherlands. The Low Countries were inhabited by numerous Germanic tribes who had an agricultural society. By the third century, these tribes organized into larger federations and three main groups emerged: the Franks in the South, the Saxons in the East, and the Frisians in the North and West. Little is known of the pre-Christian pagan beliefs of the Germanic tribes, though it seems that Wodan and Donar were worshiped by the Germanic tribes in the Low Countries. In earlier research of the origins of Dutch society, a number of myths shaped the scholarly discourse as well as the national consciousness. Led by the great scholar Hugo Grotius (1583-1645) historians in the 17th and 18th centuries believed in the "Batavian myth" which posited the existence of an independent and free Batavian state and society in the Roman period. They interpreted the revolt of the Batavi in AD 70 as the earliest Dutch war of freedom against tyranny; the founders of the new Dutch "Batavian Republic" in 1795 saw themselves as recreating this heroic action. By 1890, scholars realized the myth was false, but Civilis, leader of the Batavians, remained in the national consciousness. In the 19th century, scholars influenced by Romanticism propounded the idea that the Franks, Frisians, and Saxons were not only the oldest ancestors of the Dutch people, but also that the modern descendants reflected the original values and strengths. The idea caught on and was taught in the schools, for this theory explained why the Belgians (Franks) were Catholic and the Frisians and Saxons were Protestant. The success of this theory of origins was partly due to theories in anthropology, which were based on a tribal paradigm. Being politically and geographically inclusive and leaving at the same time space for diversity, this historical vision filled the needs of Dutch nation-building and integration in the period 1890-1914. However, the disadvantages of this historical interpretation soon became apparent. It suggested there were no strong external borders, while allowing for the fairly clear-cut internal borders that were emerging as the society pillarized into three separate parts based on religion. Especially during the Second World War, the origins myth proved to be no defense against the dangers of regional separatism and annexation to Germany. After 1945, the tribal paradigm lost its grip on anthropology; the "three-tribes-theme" was also fundamentally questioned and slowly faded away. Historical records date back to about 57 BC, when Roman armies under general Julius Caesar invaded and occupied the southern portion of the Low Countries. The northern frontier of the Roman Empire ran along the Rhine river through the Netherlands. The Romans established a number of fortifications along this frontier which became centers of trade. Germanic tribes living north of the frontier, such as the Frisians, were still heavily influenced by Roman culture through trade contacts. As the Roman Empire disintegrated, Roman armies withdrew from the Netherlands by about AD 406. The southern parts of the country were already nominally Christianized when the Roman Empire converted to Christianity. The Frankish king Clovis I (AD 466 - 511) converted to Christianity in the early fifth century, according to legend in the heat of battle. By AD 700, most of the Low Countries below the Rhine had been converted. The conversion of the Frisians by Irish and Anglo-Saxon missionaries took place in the early eighth century by the English Benedictine monks Willibrord (658-739) and Boniface (675–754). That Christianity did not immediately take hold is shown by the fact that Boniface was murdered in Friesland in AD 754 by pagan Frisians. From the 15th century onward, tales connected with the fall of the trees in the "Wild Woods without Mercy" of the Netherlands, which reportedly took place at the time of Saint Willibrord, in the 8th century, give the impression that the "barbarous" past of the northern Netherlands was swept away in one single moment with the fall of the area's trees. These stories associate Dutch civilization with the eradication of this vertical symbol and suggest that it is essentially secular, restrictive, claustrophilic, and egalitarian. The important trading post of Dorestad became a large center of power in the Frankish-dominated lands and throughout Northwestern Europe. After several decades of battles between Franks and neighboring Frisians over control of the town, the Frankish nobleman Charles Martel (688-741) decisively won the town for the Franks in AD 734. As a result, the Frankish kingdom was extended north across the former Roman-Frisian frontier up to the northern North Sea coast. Charles’ son Pippin III (714–768), also known as Pippin the Short, ousted the Merovingian king and proclaimed himself King of the Franks. He passed on a solidified kingdom. His son Charlemagne ("Charles the Great") (742–814) fought against the Saxons to the north and east of the Frankish lands and conquered them in AD 785. Both Pippin and Charlemagne sought approval of their kingship from the Roman Church; Charlemagne went to Rome in AD 800 to be crowned by the pope; his coronation legitimized Charlemagne’s rule over the former Roman empire in Western Europe and finalized the split between the Byzantine empire and the west. Charlemagne’s great accomplishment was the organization and reorganization of his empire. He instituted the feudal system, based on land grants or "fiefs" given to local officials and noblemen who supported the king and in turn owed him military service. In effect, this created the conditions for the rise and establishment of local rulers. After Charlemagne’s death in 814, central power in the Frankish empire disintegrated rapidly, as it was divided into smaller kingdoms. At the same time, Viking raids on the now more vulnerable Low Countries increased and this created a period of chaos during which Danish chieftains even established small kingdoms in the Netherlands. However, by the end of the ninth century, Viking activity in the Netherlands decreased as a result of failing harvests, increased Danish interests in England, as well as the fact that the ongoing conversion of Danes to Christianity caused many of them to give up raiding. In AD 925, King Henry I of Germany conquered the province of Lorraine, which included the Low Countries, essentially marking the end of Danish influence. Over the next century, smaller counties were merged through conquest or intermarriage into larger regional principalities. By the end of the first millennium, the territories that cover the modern provinces of the Netherlands had reached roughly their current size and their rulers had achieved enough power to be only nominally subject to the German emperor. The center of power in these emerging independent territories was in the County of Holland. Originally granted as a fief to the Danish chieftain Rorik in return for loyalty to the emperor in 862, the region of Kennemara (the region around modern Haarlem) rapidly grew under Rorik’s descendants in size and importance. By the early 11th century, Count Dirk III was levying tolls on the Meuse estuary and was able to resist military intervention from his overlord, the Duke of Lower Lorraine. In 1083, the name ‘’Holland’’ first appears in a deed referring to a region corresponding more or less to the current province of South Holland and the southern half of what is now North Holland. Holland’s influence continued to grow over the next two centuries. The Counts of Holland conquered most of Zeeland but it was not until 1289 that Count Floris V (1254–96) was able to subjugate the Frisians in West Friesland (that is, the northern half of North Holland). Philip the Bold of Burgundy became the ruler of Flanders and Artois (1384) and his successors added Holland, Zeeland, Hainaut, Namur, Limburg, and Luxembourg. The dukes of Burgundy were rich and powerful, rivaling the greatest kings in the size of their armies and the magnificence of their courts. The military prowess and courtly splendor were funded by taxing the towns, which more and more frequently resisted; the city leaders also resented the Burgundian officials who tried to reduce their privileges and the rights of the states, the provincial assemblies formed to represent the interests of subjects in dealings with their rulers. The Netherlanders felt particularly repressed under Charles the Bold, who sought to create a middle kingdom between France and Germany. His death in 1477 gave the Netherlands a chance to wrest renewal of their privileges from his heiress, the Duchess Mary. But after her death in 1482, her widower, Maximilian of Austria, a Hapsburg, ruled as regent for their young son Philip and crushed the opposition to his rule. After the death of Philip in 1506, his son Charles I (1500–1558) became ruler of the Netherlands as well as king of Spain (1516–56); and (as Charles V), Holy Roman Emperor (1519–58). He taxed the Netherlands for the never-ending Hapsburg wars against France. To the Netherlands he added Friesland in 1524, Utrecht and Overijssel in 1528, Groningen in 1536, and Gelderland in 1543. Charles centralized power by establishing a privy council and councils of state and finance over the provincial assemblies and by formally uniting the 17 provinces of the Netherlands and the duchy of Burgundy in the "Burgundian circle" within the Holy Roman Empire. A devout Catholic, he attempted to stop the spread of Protestantism in the Low Countries; he was somewhat more successful there than in Germany chiefly because the adherents of the new faith in the Netherlands had no princes to defend them against the emperor. Charles put down a political rebellion in Ghent in 1539-1540; his angry abolition of the town's historic privileges was a sign of his contempt for local rights and autonomy. The Netherlands had become the richest place in the world. Population reached 3 million in 1560, with 25 cities of 10,000 or more, by far the largest urban presence in Europe; the trading and financial center of and Antwerp, population 100,000, was especially important. The Dutch revolt against Spain, 1568-1648, is the most protracted rebellion in modern European history and it involved more continuous fighting than any modern war. Spain's failure was due to the determination of the Dutch and their military advantages, especially strength at sea, the defensibility of the northwestern provinces, as well as Spanish financial mismanagement and diversion of Spanish resources to other conflicts. Spanish diversions against England led to the disaster of the Spanish Armada (1588), while intervention to support of the Catholics in the French religious wars, reduced resources to suppress the revolt. Yet Spain was reluctant to accept failure, partly because Dutch terms for peace were unacceptable and, by 1628, because Spain was also fighting to preserve her overseas trade from Dutch attacks. The Spanish economic and political collapse of the 1620s-1640s brought about a truce because it coincided with Dutch suspicions of France and increased hopes for the Dutch reconquest of Brazil. Philip II (1527–98) reigned over the Netherlands not as king of Spain (which he also was), but as the hereditary duke, count or lord in each of the provinces. He made the fatal mistake of excluding established political leaders in the Netherlands from the process of decision-making, relying instead at the critical moment (1559–64) on one person, Cardinal Granvelle (1517–86). The local elites led the revolt in part to restore their traditional roles.In 1567 he appointed Fernando Álvarez de Toledo, the duke of Alba (1508-1582) as governor. A religious fanatic and ruthless absolutist, Alba sought to totally crush the Dutch quest for religious toleration and political self-government. He set up the Court of Blood to spread terror throughout the provinces. Some 18,000 persons were executed and their properties confiscated. He raised taxes again and again, getting more animosity than money. In 1572 the Dutch again rose up, and on a larger scale than before. Their leaders and theorists now developed a theory of sovereignty that said local privileges were the articles of a contract between prince and people, with the States General as the people's representatives, and when a prince like Philip II violated this contract the states and people could legitimately resist him. William the Silent (1533–84), previously loyal to Philip and the richest nobleman of the Low Countries, proclaimed his opposition. He took the lead of the Gueux (or "Gueus"), a revolutionary party formed in 1566 by 2,000 Dutch and Flemish nobles and burghers (both Protestants and Catholics), whose "Compromise of Breda" bound them by solemn oath to resist the curtailment of liberties imposed by Spain. Alba defeated the invading Gueux forces but failed to regain the north-western areas. In 1573 he was recalled to Spain in disgrace, and Philip replaced him with a series of commanders (Luis de Zúñiga y Requesens (b 1528 d 1576 in charge 1573-76), Don John of Austria (b 1545, d 1578, in charge 1576-78), and Alessandro Farnese, duke of Parma (b1545 d1592, in charge 1578-86)). The Spanish army in Flanders, its pay in arrears, mutinied in 1576 and began to loot in the provinces not under rebel control. In 1578-90 Farnese reconquered the southern parts of Netherlands (approximately present-day Belgium); he succeeded in winning back to the king the nobles of the Walloon French-speaking southern provinces by the treaty of Arras (1579), which restored their old privileges. In 1584 his military victories gave him control of Flanders; he forced all the Protestants to flee and set up a Counter-Reformation that firmly established Catholicism and wiped out Protestantism in the Spanish Netherlands (which later became Belgium). In response the Union of Utrecht (1579) united the seven northern provinces against Spain. They formally declared independence in the Oath of Abjuration ("Plakkaat van Verlatinghe") July 26, 1581. The English support of the Dutch rebels led Philip to plan the invasion of England in 1588, which was a total disaster; see Spanish Armada. Prince Maurice of Nassau (1567-1625), son of William the Silent, implemented tactical, technical, and logistical changes, and built a highly disciplined army that fought only two infantry battles but lay 30 sieges between 1588 and 1609. His military and naval victories enabled the Netherlands to conclude in 1609 a 12-year truce with Spain, which in practice meant the independence of the seven United Provinces. The province of Holland, and especially the city of Amsterdam, was the center of the revolt and provided over 60% of the taxes and an even larger share of war loans. The unwillingness of the increasingly powerful and militant Calvinists to accept religious compromises for the sake of national unity made the split with the Catholic south inevitable. Dutch historians have made the successful 80-year revolt against Spain the centerpiece of national history—as a revolt against tyranny on behalf of political, religious and economic freedom. The Duke of Alba is depicted as the central villain, with basic causes assigned to religion and to the constitutional crisis, that is, the demand for greater local and regional autonomy. Historians stress the interplay of the economy, finance, the nobility, and the cities, as well as the military logistics, and international complications. An important cause was the fear that Spanish King Philip II planned to impose an inquisition based on the fearful Spanish model to replace the local Dutch Inquisitions that complied with local customs and sentiments. The fears were sparked in the late 1550s by a new plan for Catholic bishoprics in the Low Countries and his appointment of many new bishops who were former inquisitors. Historians have downplayed the importance of the threat because it did not in fact exist—Philip had no such plans, but the fears were nevertheless real enough to spark a revolt. After 1945 research shifted from the drama of national liberation and instead has focused on the enormous variety of political and economic conditions in Dutch towns and provinces and on the weaknesses of attempts at centralization by the Habsburg rulers. Major breakthroughs have come in Social history, especially in demographic history. Economic history has become a central topic, with the exact relationship between economics and political events highly controversial among scholars. The religious aspects of the revolt have been studied in terms of mentalities, exposing the minority position of Calvinism, while the international aspects have been studied more seriously by foreign historians than by the Dutch themselves. Rowen (1990) asks whether the revolt was a revolution—that is, an anticipation of the French Revolution that involved the seizure of a state by a revolutionary party aiming to transform the state along economic, social, cultural, ideological, and political lines. He sees the revolt as the coming together of multiple conflicts in a series of rebellions. It was primarily a war of religion, but it was also a defense of local interests against centralization and against subordination to a foreign state. The Dutch Revolt was a time when authority fell apart and then rebuilt itself in two parts. Seventeenth century Netherlanders had a passion for depictions of city and countryside, either real or imaginary. Local scenery asserted Holland’s national pride, while vistas of foreign sites recalled the extent of its overseas commerce. Holland’s ocean ports teemed with fishing and trading ships, and the tiny country’s merchant fleet was almost as large as all the rest of maritime Europe’s combined. Maritime painting was enormously popular in Dutch Golden Age. Amsterdam was the largest artistic center. The House of Orange frewuently undermined the interests of the united Dutch provinces by pursuing an alliance with the Stuart kings of England for dynastic reasons. Although Frederick Henry (1584-1647), head of the House of Orange, refused to become entangled in British politics, and focused on the war with Spain that began in 1621. His son William II (1626-50), reversed policy, altered Anglo-Dutch relations, and sought a Stuart alliance, which came to nothing. Not until 1672 did William III adopt an independent policy. When the Dutch sided with the French Revolution through the Batavian Republic, the British moved against the Dutch empire. The prime targets were the East India Company and West India Company, private monopolies which had administered the Dutch colonies for two centuries. The British seized Ceylon, Malabar, Malacca, and the Cape of Good Hope. The Batavian Republic brought in some modernizing reforms, including the emancipation of Jews and Catholics. In 1805 Napoleon, finding it too democratic, replaced it with the Kingdom of Holland and placed his brother, Louis Bonaparte (1778-1846), on the throne. The new king was unpopular, but he was willing to cross his brother for the benefit of his new kingdom. Napoleon forced his abdication in 1810 and incorporated the Netherlands directly into the French Empire, imposing economic controls and conscription of all young men as soldiers. After Napoleon was defeated at Leipzig in 1813, the French were ousted, and the Dutch, under the leadership of Gijsbert Karel van Hogendorp, proclaimed the sovereignty of William VI of the House of Orange. After Napoleon's final defeat at Waterloo in 1815, his enemies, gathered at the Congress of Vienna where they validated secret wartime treaties. They created the Kingdom of the Netherlands as a buffer against France, by uniting all the lowlands under William (1772-1843), who took the title of William I (1815-1840). Protestants were only a quarter of the population, being a majority in the Netherlands (population 2 million), but were few among the 3.5 million Belgians, who were overwhelmingly Catholic. Nevertheless, they totally controlled the government and army. The Catholics did not consider themselves an integral part of the modern Netherlands, preferring instead to identify with medieval Dutch culture. In the 1860s, during their conflicts with Rome, Catholics finally joined the mainstream and proved they were real Netherlanders. The first 15 years of the Kingdom showed progress and prosperity, as industrialization proceeded rapidly in the south, where the Industrial Revolution allowed entrepreneurs and labor to combine in a new textile industry, powered by local coal mines. The was little industry in the northern provinces, but most overseas colonies were restored, and highly profitable trade resumed after a 25-year hiatus. King William I was the key figure in the transition of the Netherlands to a modern state. An enlightened despot, he had no difficulty in accepting the social transformations of the previous 25 years, including equality of all before the law; he was, however, a Calvinist intolerant of the Catholic majority. He promulgated the "Fundamental Law of Holland", with some modifications, which entirely overthrew the old order of things, suppressed the clergy as an order, abolished the privileges of the Catholic Church, and guaranteed the enjoyment of the same civil and political rights to every subject of the king, and equal protection to every religious creed. It reflected the spirit of the French Revolution, but it did not please the Catholic bishops, who detested the Revolution. William I actively promoted economic modernization. His position as monarch was ambivalent, however; his sovereignty remained real, but his authority was shared with a legislature elected by the wealthy citizens under a constitution granted by the king. Government was in the hands of ministries of state. The old provinces were reestablished in name only. The government was now fundamentally unitary, and all authority flowed from the center. Economic liberalism combined with moderate monarchical authoritarianism to accelerate the adaptation of the Netherlands to the new conditions of the 19th century. The country prospered until a crisis arose in relations with the southern provinces. In the Catholic south (Belgium), William's policies were unpopular. The French-speaking Walloons strenuously rejected his attempt to make Dutch the universal language of government. Flemings in the south spoke a Dutch dialect (Flemish) and welcomed the encouragement of Dutch with a revival of literature and popular culture. Other Flemings, notably the educated bourgeoisie, preferred to speak French. Although Catholics possessed legal equality, after centuries as the state church in the south, they resented their subordination to a government that was fundamentally Protestant in spirit and membership. Few Catholics held high office in state or army. Political liberals in the south complained as well about the king's authoritarian methods. All southerners complained of underrepresentation in the national legislature. Although the south was industrializing and was more prosperous than the north the accumulated grievances allowed the multiple opposition forces to coalesce. The outbreak of revolution in France in 1830 was a signal for action, at first on behalf of autonomy for Belgium, as the southern provinces were now called, and later on behalf of total independence. William dithered and his half-hearted efforts to reconquer Belgium were thwarted both by the efforts of the Belgians themselves and by the diplomatic opposition of the great powers. At the London Conference of 1830–31, the chief powers of Europe ordered (in November, 1830) an armistice between the Dutch and the Belgians. The first draft for a treaty of separation of Belgium and the Netherlands was rejected by the Belgians. A second draft (June, 1831) was rejected by William I, who resumed hostilities. Franco-British intervention forced William to withdraw Dutch forces from Belgium late in 1831, and in 1833 an armistice of indefinite duration was concluded. Belgium was effectively independent but William’s attempts to recover Luxembourg and Limburg led to renewed tension. The London Conference of 1838–39 prepared the final Dutch-Belgian separation treaty of 1839 and divided Luxembourg and Limburg between the Dutch and Belgian crowns. The Kingdom of the Netherlands thereafter was made up of only the 11 northern provinces. In 1840 William I abdicated in favor of his son, William II, who attempted to carry on the policies of his father in the face of a powerful liberal movement. Sentiment in favor of revising the constitution increased, and, in 1848, while Europe was in turmoil, revision was undertaken by the liberal historian-statesman J. R. Thorbecke. The new liberal constitution, which put the government under the control of the states general, was accepted by the legislature in 1848. William III, who became king in 1849, reluctantly chose Thorbecke to head the new government, which introduced several liberal measures, notably the extension of suffrage. However, Thorbecke's government soon fell, when Protestants rioted against the Vatican's reestablishment of the Catholic episcopate, in abeyance since the 16th century. A conservative government was formed, but it did not undo the liberal measures, and the Catholics were finally given equality after two centuries of subordination. Dutch domestic history from the middle of the 19th century until the First World War was fundamentally one of the extension of liberal reforms in government, encouragement to the reorganization of the Dutch economy upon a modern basis, and the rise of trade unionism and socialism as movements of the working class independent of traditional liberalism. The growth in prosperity was enormous, as real per capita GNP soared from 106 guilders in 1804 to 403 in 1913. Religion was a contentious issue with repeated struggles over the relations of church and state in the field of education. In 1816, the government took full control of the Netherlands Reformed Church (Dutch Nederlands Hervormde Kerk). In 1857, all religious instruction was ended in public schools, but the various churches set up their own schools, and even universities. Dissident members broke away from the Netherlands Reformed Church in the Secession of 1834. They were harassed by the government under an onerous Napoleonic law prohibiting gatherings of more than 20 members without a permit. After the harassment ended in the 1850s, a number of these dissidents eventually created the Christian Reformed Church in 1869; thousands migrated to Michigan, Illinois, and Iowa in the United States. By 1900 the dissidents represented about 10% of the population, as against 45% in the Netherlands Reformed Church, which continued to be the only church to receive state money. At mid-century, most Dutch belonged either to the Dutch Reformed churches (around 55%) or the Roman Catholic church (35 to 40%), together with smaller Protestant and Jewish groups. A large and powerful sector of nominal Protestants were in fact secular liberals seeking to minimize religious influence. In reaction a novel alliance developed with Catholics and devout Calvinists joining against secular liberals. The Catholics, who had been loosely allied with the liberals in earlier decades, turned against them on the issue of state support, which the liberals insisted should be granted only to public schools, and joined with Protestant political parties in demanding equal state support to schools maintained by religious groups. 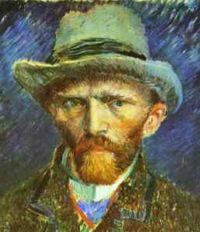 The late 19th century saw a great cultural revival, especially in the 1880s and 1890s, typified by the painting of Vincent van Gogh. Literature, music, architecture, and science all flourished, as represented by Johannes Diderik van der Waals (1837-1923), a working class youth who taught himself physics, earned a PhD at the nation's leading school Leiden University, and in 1910 won the Nobel Prize for his discoveries in thermodynamics. Portrait of Rachel Ruysch by Godfried Schalcken, 1899. Verzuiling ("pillarization" or "pluralism") after 1850 became the solution to the danger of internal conflict. Everyone was part of a pillar (zuil) based on religion (Protestant, Catholic, secular-liberal, secular-socialist). Each pillar had a full set of its own social organizations, including churches (for the religious pillars), political parties, schools, universities, labor unions, sport clubs, boy scout unions and other youth clubs, and newspapers. The members of different zuilen lived in close proximity in cities and villages, spoke the same language, and did business with one another, but seldom interacted informally and rarely intermarried. Pillarization was officially recognized in the Pacification of 1917, whereby socialists and liberals got universal male suffrage and the religious parties were guaranteed equal funding of all schools. In 1930 radio was organized so that each pillar had full control of its own network. When television began in the late 1940s the pillars divided up time equally on the one station. In politics and civic affairs leaders of the pillar organizations cooperated and the acknowledged the right of the other pillars, so public life generally ran smoothly. In the 19th century the Netherlands lagged far behind Belgium in industrialization; it lacked coal and factories; railways were late in coming, because waterborne traffic was available and cheap. Construction and operation, modeled after Britain, was shared between the state railway and the privately owned Holland Company; they merged in 1917. The Dutch East India Company (VOC) in the 17th century became the largest business in the world. During the 200 years of its existence nearly a million Europeans left Holland on one of the VOC's ships. Its overseas bases employed about 25,000 workers. In 1687-88 the company's Ceylon and Batavia offices had over 2,500 employees each; it operated Japan's solitary window to the world at the port of Deshima, with 27 employees. Until 1688, when Japan banned the export of silver, it was the source of a plentiful and inexpensive supply of this precious metal. During the 17th century the profit on the annual trade with Japan was over 50%, making Deshima the VOC's richest trading post. The Dutch supplied the Japanese with Chinese silk, textiles from Europe, spices from the Dutch-controlled East Indies, hides from Thailand and Taiwan and ivory from Africa and South East Asia. The VOC's exports from Japan included silver, gold, copper, camphor, porcelain, lacquer-ware and grains. In the 18th century, however, the VOC lost speed. In Europe the Dutch Republic was losing its preeminent place as a trading power to Britain and France. London replaced Amsterdam as the world's financial center. In the early part of the century a series of disastrous shipwrecks in East Asia proved costly for the company. In 1743 the Deshima trade post in Japan made a loss for the first time. The intellectual impact on Japan was undiminished, however, as Japanese scholars threw themselves into the study of Western medicine, astronomy, mathematics, botany, physics, chemistry, pharmacy, geography and the military arts—all studied in Dutch language books. Control over the Netherlands East Indies, restored from British to Dutch rule by the Treaty of Vienna in 1815, was strengthened. The colonies sent substantial profits to the Dutch economy and revenues to the Dutch government. However, criticism of exploitative methods of the Dutch East India Company brought a shift in the economic system from forced payments in crops to traditional taxation, and it took the Dutch 35 years to subdue the Achin (Atjeh) rebels in Sumatra. From 1800 to 1950 Durch engineers created an infrastructure for the Dutch East Indies, including 67,000 kilometers of roads, 7,500 kilometers of railways, many large bridges, modern irrigation systems covering 1.4 million hectares of rice fields, several international harbors, and 140 public drinking water systems. With these public works, Dutch engineers constructed the material base of the colonial and postcolonial Indonesian state. During the 1930s the Netherlands, like other developed Western economies, suffered much from unemployment and the Depression. The economy was based on trade and agriculture. there was some manufacturing, led by Unilever (soap), Shell (oil refining) and Philips (light bulbs). World trade levels declines sharply, leaving the large Dutch merchant fleet with less business; one third of the ships were laid up. Unemployment reached 17% in 1936, then began a slow decline. GDP fell below the level of the prosperous 1920s. The politically system continued to function normally, with Catholic and Calvinist religious parties in control. There was little mass unrest or Communist activity and the Socialist party remained weak. In the overseas empire, especially the Dutch East Indies (later renamed Indonesia) the fall in commodity prices caused a sharp economic decline, as exports fell by two-thirds. Since a fourth of all Dutch wealth was invested there, investors were badly hurt. The colonial government pursued a policy of "indianization," which meant training more and more locals Indonesians for civil service jobs. There was no self-government; a local council was only advisory to the governor. Demands for self-government were rising rapidly among the 67 million inhabitants, most of them Moslems. A small fringe element of Dutch fascists existed from 1929 to 1940. They were inspired by Mussolini's Italy and was based on traditional corporate ideology. The movement was small, elitist, and consisted of competing bourgeois political associations. It was opposed by the Catholic Church. Nazi-style National Socialism, also existed as an even smaller fringe group; it failed to gain mass support because its ideology was alien to native Dutch political culture. It too was opposed by the Catholic Church. Although the Netherlands proclaimed its neutrality, the Germans under Adolf Hitler invaded on May 10, 1940 and after the open city of Rotterdam was bombed on May 14 by the Luftwaffe the Dutch army capitulated on May 15. Queen Wilhelmina and her government fled into exile in London, which became their base to fight the Germans, using the small navy and large merchant fleet as its assets, along with its colonies. A brutal five year German occupation of the country began; the Dutch were forced to pay all the costs. The attempt of Nazi military governor, Reichskommissar Arthur Seyss-Inquart, to win the "Aryan" Dutch for Nazism by promoting industrial recovery met with resistance in the form of strikes and underground activity. 250,000 Dutch civilians were forced laborers at factories in Germany, which were targets of Allied air raids. The heightening demands of the German war machine led to increasingly ruthless exploitation, as more than 40% of Dutch income flowed to Germany by 1942, severely undermining Dutch industry, while large numbers of young Dutch workers went into hiding and the resistance. The Japanese invaded Indonesia in January, 1942, looking for oil. The Shell oil company blew up all the wells and the Japanese, after long repairs, in the end obtained much less than it needed. Japan's victory was swift after it sank the Dutch navy and invaded; nearly 150,000 Dutch citizens found themselves prisoners of the Japanese in horrible conditions. The Nazis as part of the Holocaust hunted down, deported and killed three-fourths of the 140,000 Jews in the country. The most famous victim was Anne Frank (1929–45), whose family hiding place in Amsterdam was exposed by an informer in 1944 and she died in Bergen-Belsen weeks before the war ended. In September 1944, American, British and Canadian forces liberated the southern provinces. The north remained in German hands until May 1945, but the Dutch refused to aid the German war economy and the Nazis cut off food supplies, leading to severe malnutrition and deaths from cold and disease. After the war the major pillarized sectors began to cooperate in the "polder" style that minimized conflict, as the top officials of each sector met secretly to work out compromises that were then ratified. In other countries strong polarization had a geographic dimension, leading to separatist movements in Belgium and Canada, but there was little geographical concentration in the Netherlands. After 1970 the pillarized model began to break down in politics, as religion became less central in the lives of most people, the parties reorganized across the old religious and cultural lines, and labor unions merged. The fast growing Muslim immigrant community is building its own separate pillar along religious lines such as was common a century ago, and is still allowed by Dutch laws. There are now Islamic and Hindu schools. The leadership in the Netherlands believed that mass immigration was necessary in an era of globalization, falling birth rates, and labor shortages. The real debate in their eyes was whether the immigrants will be Europeans, which is tolerated, or be Muslims from Turkey and Morocco, which is controversial. Rotterdam is nearly half Muslim and in every city second- and third-generation Muslims are Dutch and speak Dutch as their first language, but have not been well integrated into mainstream Dutch society. They remain between two cultures and some listen to radical Islamist preachers. However, two-thirds of the immigrants are Dutch citizens and they are well represented in national and local government. The rapidly growing Dutch economy absorbed the new workers, driving down the unemployment rate for immigrants from 35% to 10% in 2001. At first, there was a gentlemen's agreement among political leaders that immigration and ethnicity were not to become political issues. That ended and Dutch politics took a right-wing-populist turn following the emergence of Pim Fortuyn, the charismatic leader of a new party, and his assassination in 2002, followed by the ritual murder of anti-immigrant spokesman Theo van Gogh in 2004. Hostility to Islam has created an increasingly restrictive national immigration and integration policy. A policy of Europeanization rejects "multiculturalism" (which like pillarization would allow Muslins complete control over their schools) and instead calls for civic integration for new immigrants, who are expected to learn Dutch, accompanied by anti-discrimination laws to benefit settled immigrants and their children. The 1998 Newcomer Integration Law (Wet Inburgering Nieuwkomers, "WIN") obliges most non-EU immigrants to participate in a twelve-month integration course, consisting of six hundred hours of Dutch language instruction, civic education, and preparation for the labor market. An immigrant must pass an integration test to get or renew a residence permit. The Netherlands saw Geert Wilders and his Party for Freedom (PVV) rise as a political force in the country. The PVV is a right-wing populist and Euroskeptic party and strongly opposes mass immigration, open borders, and Islam. The pioneering cultural historian Johan Huizinga (1872-1945), author of The Autumn of the Middle Ages (1919) (an earlier translation in English was called The Waning of the Middle Ages) and Homo Ludens" A Study of the Play Element in Culture (1935), which expanded the field of cultural history and foreshadowed the historical anthropology of younger historians of the Annales School. He was influenced by art history and advised historians to trace "patterns of culture" by studying "themes, figures, motifs, symbols, styles and sentiments." The "polder model" continues to dominate both Dutch politics and historiography. The polder model strongly emphasizes the need for consensus and discourages debate and dissent in both academia and politics - in contrast to the highly developed, intense debates in Germany. The H-Net list H-Low-Countries is published free by email and is edited by scholars. Its occasional messages serve an international community with diverse methodological approaches, archival experiences, teaching styles, and intellectual traditions, promotes discussion relevant to the Low Countries as a whole and to the different national histories in particular, with an emphasis on the Netherlands. H-Low-Countries offers conference announcements, questions and discussions; reviews of books, journals, and articles; and tables of contents of journals on the history of the Low Countries (in both Dutch and English). Once heralded as the leading event of modern Dutch history, the Dutch revolt lasted 1568-1648, and historians have worked to interpret it for even longer. Cruz (2007) explains the major points of contention and schools of thought surrounding interpretations of the deeper meaning of the Dutch bid for independence from Spanish rule. While the intellectual milieus of late-19th- and 20th century certainly left their mark on historical interpretations of this event, Cruz argues that writings about the revolt distinctively trace changing perceptions of the role played by small countries in the history of Western civilization. As is true in most contemporary historical scholarship, there are no more grand narratives for encompassing the Dutch revolt in its entirety, but Cruz points to future directions for understanding the revolt in its wider contexts, whether European or global. Dutch and Belgian historiography since 1945 has moved away from seeing the revolt as the culmination of a long and inevitable process leading to independence. Instead historians examine the varied political and economic characters of the towns and provinces and on the weaknesses of attempts at centralization by the Habsburg rulers. The most important innovations have been in demographic and economic history, though the relationship between economics and political events remains controversial. The religious aspects of the revolt have been studied in terms of mentalities, exposing the minority position of Calvinism, while the international aspects have been studied more seriously by foreign historians than by the Dutch themselves. Pieter Geyl ((1887-1966)) was the leading historian of the Dutch Revolt, and a highly influential professor at the University of London (1919-1935) and at the State University of Utrecht (1935–57). He wrote a six-volume history of the Dutch-speaking peoples. The Nazis imprisoned him in World War II. In his political views, Geyl adopted the views of the 17th century Dutch Louvestein faction, led by Johan van Oldenbarneveldt (1547-1619) and Johan de Witt (1625–72). It stood for liberty, toleration, and national interests in contrast to the Orange stadholders who sought to promote their own self-interest. According to Geyl, the Dutch Republic reached the peak of its powers during the 17th century. He was also a staunch nationalist and suggested that Flanders could split off from Belgium and join the Netherlands. Later he decried what he called radical nationalism and stressed more the vitality of Western Civilization. Geyl was highly critical of the world history approach of Arnold J. Toynbee. Jan Romein (1893-1962) created a "theoretical history" in an attempt to reestablish the relevance of history to public life in the 1930s at a time of immense political uncertainty and cultural crisis, when, in Romein's view, history had become too inward-looking and isolated from other disciplines. Romein, a Marxist, felt that history must contribute to social improvement. At the same time, influenced by the successes of theoretical physics and his study of Oswald Spengler, Arnold J. Toynbee, F. J. Teggart, and others, he spurred on the development of theoretical history in the Netherlands, to the point where it became a subject in its own right at the university level after the war. Romein used the term integral history as a substitute for cultural history and focused his attention on the period around the turn of the century. He concluded that a serious crisis occurred in European civilization in 1900 because of the rise of anti-Semitism, extreme nationalism, discontent with the parliamentary system, depersonalization of the state, and the rejection of positivism. European civilization waned as the result of this crisis which was accompanied by the rise of the United States, the Americanization of the world, and the emergence of Asia. His interpretation is reminiscent of that of his mentor Johan Huizinga and was criticized by his colleague Pieter Geyl. Mathijs, Ernest, ed. The Cinema of the Low Countries. (2004). 268 pp. Vuijsje, Herman. The Politically Correct Netherlands: Since the 1960s. (2000). 244 pp. Arblaster, Paul. A History of the Low Countries. (2006). 298 pp. Koenigsberger, H. G. Monarchies, States Generals and Parliaments: The Netherlands in the Fifteenth and Sixteenth Centuries. (2002). 381 pp. Abbenhuis, Maartje M. The Art of Staying Neutral: The Netherlands in the First World War, 1914-1918. (2006). 423 pp. Moore, Bob. Victims and Survivors: The Nazi Persecution of the Jews in the Netherlands 1940-1945. (1997). 340 pp. Prak, Maarten Roy. The Dutch Republic in the Seventeenth Century. (2005). 317 pp. Berkel, Klaas van; VanHelden, Albert; and Palm, Lodewijk, eds. A History of Science in the Netherlands: Survey, Themes and Reference. (1999). 659 pp. Blom, J. C. H.; Fu ks-Manfield, R. G.; and Schoffer, I., eds. The History of the Jews in the Netherlands. (2002). 508 pp. Dekker, Rudolf. Childhood, Memory and Autobiography in Holland: From the Golden Age to Romanticism. (2001). 174 pp. Grijzenhout, Frans and Veen, Henk van, eds. The Golden Age of Dutch Painting in Historical Perspective. (1999). 333 pp. Kiers, Judikje and Tissink, Fieke. The Golden Age of Dutch Art: Painting, Sculpture, Decorative Art. (2000). 366 pp. Mak, Geert. Amsterdam: Brief Life of the City. (2000). 352 pp. Muizelaar, Klaske and Phillips, Derek. Picturing Men and Women in the Dutch Golden Age: Paintings and People in Historical Perspective. (2003). 246 pp. Muller, Sheila D. Dutch Art: An Encyclopedia. (1997). 489 pp. Price, J. L. Dutch Society, 1588-1713. (2000). 306 pp. Schenkeveld, Maria A. Dutch Literature in the Age of Rembrandt: Themes and Ideas (1991). Smith, Jeffrey Chipps. The Northern Renaissance. (2004). 447 pp. Aymard, Maurice, ed. Dutch Capitalism and World Capitalism (1982). Beekman, E. M. Troubled Pleasures: Dutch Colonial Literature from the East Indies, 1600-1950. (1996). 654 pp. Boxer C. R. The Dutch Seaborne Empire, 1660-1800 (1965). Emmer, Pieter. The Dutch in the Atlantic Economy, 1580-1880: Trade, Slavery and Emancipation. (1998). 283 pp. Jones, Geoffrey. Renewing Unilever: Transformation and Tradition. (2006). 447 pp. Moore, Bob and Nierop, Henk van, eds. Colonial Empires Compared: Britain and the Netherlands, 1750-1850. (2003). 204 pp. Ormrod, David. The Rise of Commercial Empires: England and the Netherlands in the Age of Mercantilism, 1650-1770. (2003). 400 pp. Unger, Richard W. A History of Brewing in Holland, 900-1900: Economy, Technology and the State. (2001) 428 pp. Veenendaal, Augustus. Railways in the Netherlands: A Brief History. (2001) 235 pp. Vries, Jan de, and Ad van der Woude. The First Modern Economy: Success, Failure, and Perseverance of the Dutch Economy, 1500-1815. (1997). 767 pp. Zanden, Jan Luiten and Riel, Arthur van. The Strictures of Inheritance: The Dutch Economy in the Nineteenth Century. (2004). 384 pp. Blom, J. C. H. "Ludovico Locuto, Porta Aperta: Enige Notities over Deel XII En XIII Van L. De Jongs Koninkrijk Der Nederlanden in De Tweede Wereldoorlog." [After Louis Spoke, Everything Was Clear: Some Notes on Volumes 12 and 13 of Louis De Jong's Kingdom of the Netherlands in World War Ii]. Bijdragen En Mededelingen Betreffende De Geschiedenis Der Nederlanden 1990 105(2): 244-264. Issn: 0165-0505 review of a great masterpiece. Duke, A. C. and Tamse, C. A., eds. Clio's Mirror: Historiography in Britain and the Netherlands. Zutphen, Netherlands: De Walburg, 1985. 238 pp. ↑ E. O. G. Haitsma Mulier, "De Bataafse Mythe Opnieuw Bekeken" [The Batavian Myth Viewed Anew]. Bijdragen En Mededelingen Betreffende De Geschiedenis Der Nederlanden (1996) 111(3): 344-367. ↑ Also known as William of Orange and William I, prince of Orange. he was the first (1572–84) of the hereditary stadholders (chief executive and commander in chief) of the United Provinces of the Netherlands. ↑ The oldest universities, in Leiden, Utrecht, and Groningen, had a secular-liberal character. In 1880 a protestant university opened in Amsterdam and in 1923 a catholic one in Nijmegen. The Amsterdam municipal university, which opened in 1877, leaned toward secular-socialism, but was formally neutral. ↑ Laura Cruz, "The 80 Years' Question: the Dutch Revolt in Historical Perspective." History Compass 2007 5(3): 914-934. ↑ Three volumes appeared in English translation, TheRevolit of the Netherlands (1555-1609) (1932); and The Netherlands in the Seventeeth Century (2 vol 1936, 1964). This page was last modified on 9 April 2019, at 09:59. This page has been accessed 24,817 times.